I haven't appliqued the patch to the little shirt yet...any tips for applique with Hexies?? I found some really helpful templates for several hexagon sizes HERE. 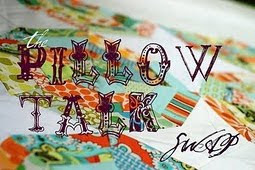 It's time again for the Pillow Talk Swap on Flickr!!! There's a little time left to get your entry in by following the instructions HERE. 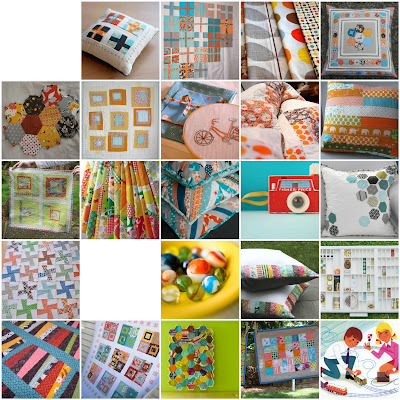 I've thrown together a few favorites for my secret partner...I'd love to have a new handmade pillow for baby's room! I missed out on round 2 because of feeling so yucky, but round 1 was AWESOME! Check out the pillow I made for Amy, and also the pillow I received from Amber. What a good weekend....it was a whirlwind for us, but a good weekend. We hosted our women's retreat at church on Saturday, with the theme, "Awaken". There's no better season to talk about being awakened to God's love, than spring. 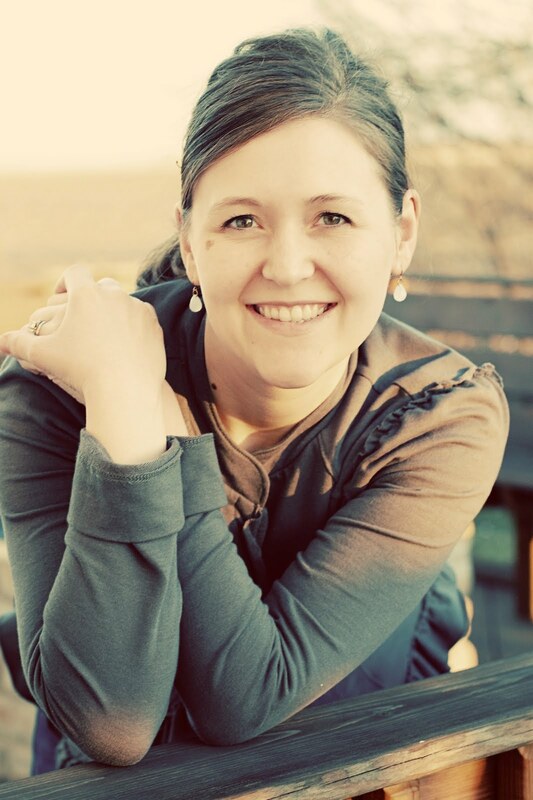 I led worship for the first time, "growing" me out of my comfort zone....but I had wonderful friends and a sweet hubby who plays guitar and drums help lead with me and that brought all the comfort in the world. God is good...and he gave us Spring to prove it, huh? Another pieced quilt top for a lovey and some cutie-pie pants for my friend's baby girl, due in June....I still need to run out and get some elastic to finish the waist and some minkee to back these lovies. A HUGE thanks to Allison at Cluck Cluck Sew for trying and recommending Joanna's Crib Shoe Pattern, found HERE. 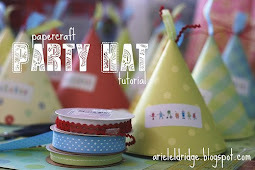 (And, thanks Allison for giving me the idea to use some Katie Jump Rope with my Heather Ross scraps :) Joanna also has a cool pattern for a bean bag on her blog that I'd love to check out! ....And, now my sewing machine looks like this...and the hubs is once again mourning the loss of his "nice, clean, dining room table"....ooowah ah ah! I love silhouettes. And silhouettes are all the rage right now, it seems. I wanted to try something new to create keepsakes of my little guy as he grows, and came up with this inexpensive embroidery hoop option. I started by taking a photo of my son in profile, in front of a lit window. I printed the photo as an 8x10" on cardstock, so that his head was close to life-size. With my scissors, I cut around as many details as possible from the neck up. Using a large embroidery hoop from JoAnn's, I cut my fabric large enough to fill the hoop and inserted it. It's also helpful to put some Elmer's glue around the inside of the hoop, to lock your fabric in place and keep it from getting loose. When it was tight like a drum head, I placed my cardstock cutout on the fabric and traced it in pen. I already had some basic black acrylic craft paint...a small bottle will be plenty. It helped to have a small detail paintbrush for the outline and also a large craft sponge/brush to quickly fill the empty space with paint. To help me remember how old he was in this silhouette, I'm thinking I'll attach a small hang tag from the brass top that says, "18 mos." 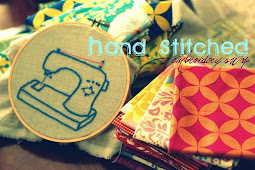 Wouldn't it be cute to have a wall of these in the nursery of all different sizes, fabrics, and stages of growth? For some professional silhouette keepsakes, head over to Vana's site, Le Papier Studio. My favorites are her lockets (have one, love it!) and new vinyl wall decals. 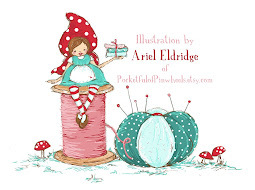 WHO does not love a good blog giveaway?? Okay, how about giveaways for the whole month of April?? 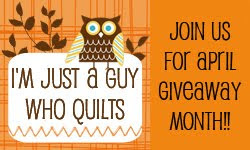 One of my favorite quilting guy pals is hosting a giveaway month on his blog: "I'm Just a Guy Who Quilts". If you haven't seen Ryan's work, head over and peek...I dare you! And, make sure to enter this week's giveaway for a Melissa and Doug stacker....very cool. Thanks, Ryan!